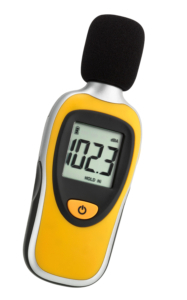 Whether it is machine noise, environmental noise, aircraft noise or noise in the workplace – this handy measuring device can be used wherever sound levels need to be determined. Both very quiet and extremely loud noise sources can be reliably measured with this device. The measuring range adapts automatically. In addition, the device has a highest and hold function.